A couple of weeks ago I was in Whistler, waiting for Brendan and his friend Cassandra to weary of skiing in the rain. Due to bad planning on my part, I had no reading material. No journal. The free Whistler paper takes about five minutes to read. Front and center in the Whistler Village bookstore: The Martian. Thank you Fate. Mark Watney is stuck on Mars after his co-astronauts leave him for dead after a dust storm hits their landing site. This guy is smart, badass, funny, and optimistic. Did I say he was optimistic? No matter what the red planet dishes out, he deals. He figures it out. He re-establishes communications with NASA – oh joy, human contact! – and then the bureaucrats start to drive him crazy with their micromanaging. It’s all so realistic! The Martian has all the technical details. How to produce water from hydrazine, how to turn a rover into a solar-panel carrying vehicle, how many potatoes it will take to survive for a year without starving to death, exactly what will happen to you if you step foot on a planet like Mars without a life support system. Star Wars this is not. The author, Anthony Weir, manages to relay all this information without it becoming boring. His character has so much character, he’s so ridiculously resourceful and upbeat, so human, that it works. No, it doesn’t just work, it grips you and doesn’t let go. I adore Mark Watney. I’m not going to tell you any more, just know there are cliffhangers galore. And that potatoes and disco get really boring after a few hundred days. I came away with a heightened appreciation for the fragility of the human life apparatus (read: body) and how superbly calibrated we are to life on Earth. Living on Mars? Not. Coming as it did after my translating project, it drove home even more firmly for me that we humans are not “on” our planet, we are an outgrowth of it. Human civilization is not the epitome of anything. It’s just a stage in an evolution of this particular planet orbiting this particular star in this particular galaxy. On another planet, something else will evolve because the conditions will be different. It might be “life” and it might not. That’s totally beside the point. We can’t go live on Mars. We can’t live in space. We are Earthlings. Another data point for how out of touch the publishing industry is with what people are actually interested in reading as opposed to what they think people are interested in reading. 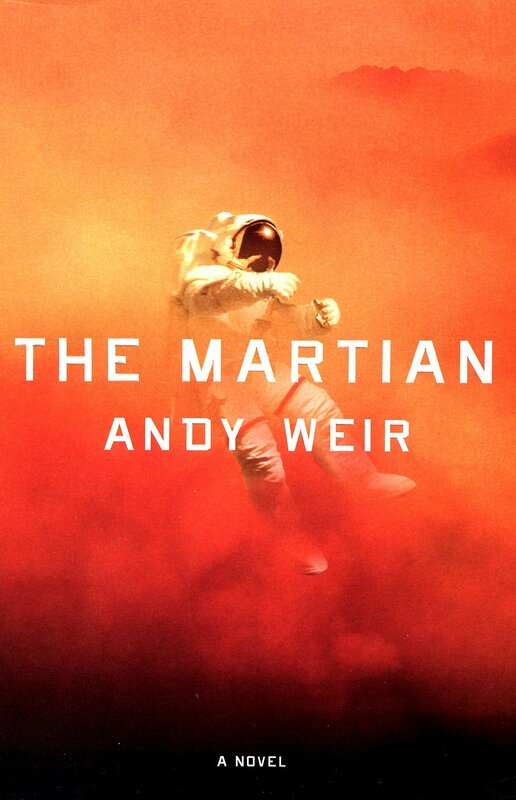 So, earthling, do yourself a favor and go read The Martian. Here’s a good review at Ars Technica. This entry was posted in Book Reviews, Philosophy, Science, Translating, Writing and tagged book review, extraterrestrials, Mars, publishing, space, translating by gydle. Bookmark the permalink.